Join Sister District in supporting Josh Cole for the Virginia House of Delegates! 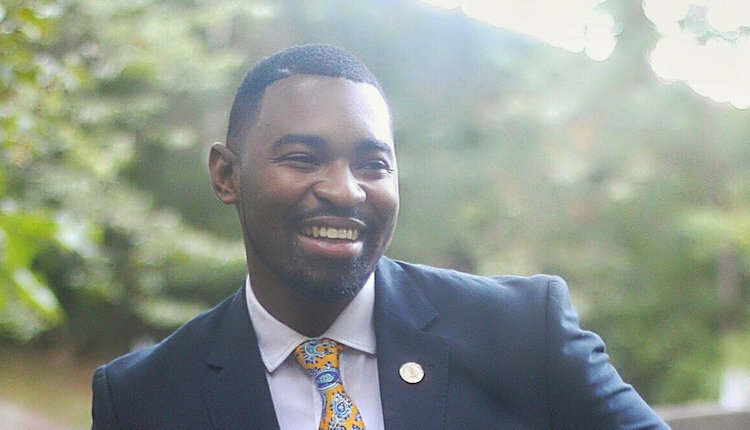 In 2017 Joshua became the first African-American and youngest person to receive any party’s nomination for the Virginia House of Delegates in Virginia’s 28th District. The race was riddled with controversy after he fell short of winning by 82 votes, and over 143 people received ballots for wrong districts. After the election he was appointed to serve as the Chief of Staff for Delegate Kelly Convirs-Fowler. He currently serves on Stafford County Public School’s Superintendent’s Equity, Diversity and Opportunity Committee, the Greater Fredericksburg Area Interfaith Council, the President of the Stafford County NAACP and a host of other local and community initiatives. Now Josh is running again, and this time, we're helping him win!